The basic starting point, summed up in the slogan Pure Energy! (“Čista energija!”), is based on the perception of culture as creative energy and its ecologically and socially responsible attitude towards the world. Culture is the generator of development and a medium of social participation. Maribor and its partner towns in Eastern Slovenia secured the realisation of the European Capital of Culture through the passing between constituted open partner spaces, which served as focal points of creativity, by establishing connections between spaces and by creating and inseparable link between programmes and locations. The programme was designed with sustainable development and lifelong learning in mind, and strived to include all social and ethnic groups, all while putting special emphasis on children, the elderly, and vulnerable groups of population. The original application was based on issues of cultural identity (of an individual, city, region…) by juxtaposing identities such as local – regional – global, national – European, post-industrial urban – rural, thus posing a question of the role of art and culture in the 21st century. It stressed the future vs. the past, urban vs. rural, industrial vs. informational, analogue vs. digital, art vs. heritage, etc. The main theme was based around contemporary creativity, confronted with historical art movements (the avant-garde, Socialist Realism, modernism…). The question of identity in contemporary world was confronted with historical experiences and the relation between individuality and the community: the embodiment of community in totalitarian regimes and ideologies of the 20th century vs. the not yet discovered spaces of freedom and fear in the IT world of virtual reality. The dichotomy of experiencing the world of virtual reality vs. experiencing the material environment evokes questions on the relations between culture and nature (cultural routes, legends and myths), as well as energy and ecology (concept of sustainability). According to the presented concept, the general theme of identity and art called for special attention to be given to historical roots of the local, regional, and national culture (constituent networks of cultural heritage – castles, archaeological sites, intangible cultural heritage – and its renovation), and reminded of the fact that European cultural identity is developed in confrontation, understanding, and replenishing of diversity (mobility of artists and audiences, residential centres networks…). In the concept of the Brussels application, artistic creativity and cultural invention were assigned special powers of positive effectuation on social development and social processes, which, along with its derivations, served as the main marker of all events. We were dealing with an old and always topical investigation of the meaning and social role of art in the current political environment and its historical perspective. By adjusting these issues to account for the present global environment, and by applying them to topical and central themes of existence and essence in our national milieu, in Europe and in global relations, the concept also set out the following leading themes, which originate from the basic idea of “the energy of art and culture”: confrontation of art with social activism, the relation of art and ideology with past and present myths, confrontation in relation to nature, European identity, unity in diversity, the national and supranational, and the question of existence and forms of art / culture in the world of contemporary technology and science. Leading ideas, mottos, and their derivations are not conceptualised as a framework restricted to artistic content, but rather presented as creative provocation that demands examination, affirmation, while also allowing denunciation through artistic practice, cultural events, or accompanying expert and scientific confrontations. The basis for the ECoC project concept was prepared by KIBLA Multimedia Centre through many brainstorming sessions, and carried out with the participation of interested organisations and individuals from the field of culture. Based on the 2006 open call of the Ministry of Culture, KIBLA was selected by the Municipality of Maribor to prepare the candidature for the European Capital of Culture 2012 for the city of Maribor and its partner towns – Murska Sobota, Novo mesto, Ptuj, Slovenj Gradec, and Velenje. The documentation had to be drawn up with the observance of all application criteria and requirements, from theme-based (e.g. emphasis on cultural tourism) to infrastructural, including supporting documentation confirming that the investments are duly planned, be it with investment documentation (DIIP) or conservation-restoration plans. More intensive preparations for the application began in autumn 2006. As part of the documentation, KIBLA first needed to prepare and amend the Local Cultural Programme of the Maribor Municipality 2007 – 2011. On 14 February 2007, the City Council discussed and confirmed both the prepared candidacy and the local cultural programme, which was a mandatory part of the application procedure. Final preparations, ranging from obtaining additional documents and polishing materials, lasted until the end of February 2007. The application, signed by the Mayor of Maribor Franc Kangler, was handed in on 27 February 2007. 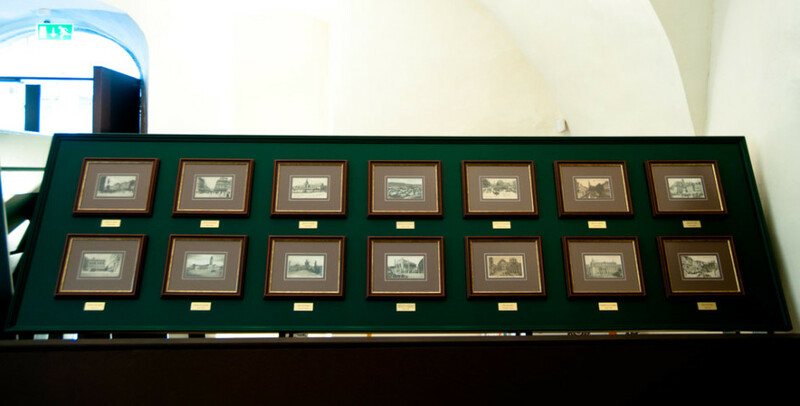 In the following months, the Ministry of Culture examined and checked the completeness of obtained applications. It has been determined that 4 cities had applied: Celje, Koper, Ljubljana, and Maribor. In April, the Minister of Culture dr. Vasko Simoniti assembled an international expert commission, responsible for the evaluation of applications, which, in a session held in May 2007, graded the application submitted by Maribor and its partner towns to be the best and most suitable. As a result, the commission proposed to the minister to select Maribor as the formal Slovene ECoC 2012 nominee. Because of Maribor´s considerable advantage over other cities, the Minister followed the commission’s recommendation and proposed to the Government of the Republic of Slovenia to support Maribor and its partner towns in its candidacy for the European Capital of Culture 2012. On 31 May 2007, the Slovene Government formally adopted the proposal of the Minister. In August of the same year, preparations for the procedure in Brussels began. First, a method for the realisation of the process had to be selected. The process included the completion of a questionnaire, which called for detailed answers to questions on starting points required by the ECoC project. After several meetings at the Ministry of Culture, basic and primary content and theme-related characteristics have been agreed upon and adopted with final power. After profound negotiations, the financial framework need to be reduced from EUR 230 million to EUR 200 million, with EUR 50 million allocated for programmes and EUR 150 million for investments. The documentation was later approved by the Government of the Republic of Slovenia at a session held on 23 December 2007, and submitted to Brussels in the following days. The wide range of programmes, projects, initiatives, ideas, and proposals, presenting the basis for the candidature by which Maribor and its partner towns became the European Capital of Culture 2012, served as the grounds for a short summary detailed in the book PURE ENERGY!, published by KIBLA Multimedia Centre. The book was given to members of the Brussels commission before the first presentation, which took place on the World Book Day on 23 April 2008. The commission was of the opinion that this represented the first step in the conceptualisation of the programme framework of the future Cultural Capital, singling out the proposed project Museum of Socialism as particularly attractive, and recommending it be developed further. After the first presentation of the candidacy, the special evaluation commission recommended an additional elaboration of the following elements of the application: strengthening of cooperation between cultural organisations and operators, artists, towns, and member states in all fields of culture; development of programmes presenting the richness of cultural diversity in Europe; highlighting common cultural foundations of Europe; strengthening of connections between the city and Europe, and the development of programmes that are of interest to the European audience. 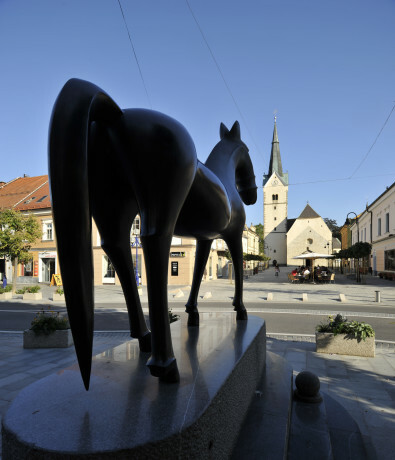 Forma EViva: cultivation of public spaces with artistic sculptures –a call for applications on the European level, and an international-European creative sculpture symposium with participants from all 27 EU member states, during which artistic sculptures will be created from tonalite (Pohorje granite) stone and put displayed in public spaces around Maribor. Forma EVocativa: international festival of design in public communication, based on the existing Magdalena festival of visual communications. Forma Eloquentia: international rhetoric festival and accompanying events dedicated to the quality of public speech. A festival with international guests, experts, connoisseurs and speech practitioners featuring public appearances, as well as narration and public speech competitions. Forma Educativa: encouraging children and youth to engage in cultural creativity and integration of children into cultural activity. International Young Opera Singers Competition “OndinaOtta”. Maribor Festival includes its own festival production with programmes and groups composed specifically for the festival. The artistic director of the Festival Maribor is Richard Tognetti. A popular summer festival with a series of top-quality, attractive cultural events, with meetings and cultural exchanges. The theme of the festival is worldwide cultural integration, promoted by confronting and mirroring cultures of different continents. In 2012, the festival will be organized as a juxtaposition of European creative expression with creative expressions of nations and cultures from other continents. The emphasis was on the variety and colourfulness of presented cultures, and on the best of the commonEuropean creative tradition. The festival took place in a number of venues in the city centre, with many attractive events taking place simultaneously (parades, fireworks, competitions etc. ), thus breathing life into the old city centre and city parks. carnival with several accompanying events. meetings of cultures of various religious communities. myths of the past, present and future (Myth as Thread – Myth as Threat). A large-scale international exhibition on human/artistic relationship with nature was organised in 2012, with the participation of carefully selected artists. World exhibition in the new Gallery of Modern Art in Maribor. A series of cultural events (such as stage acts, intermedia events, etc.) addressing the connections of science and art took place in Maribor, SlovenjGradec and other partner cities in Slovenia and other EU countries. Virtual reality-digitalisation-Communication. In 2012, ArsVirDiCowas implemented as a creative workshop in Maribor, along an international creative workshop on the World Wide Web, European festival of computer art, and an international festival of creative communication. Urbanism: international challenge for young architects to renovate and fix houses, living spaces, studios,etc. (residential centres); expert meetings. A challenge, selection and implementation of student grant programmes for hosting artists from cities of the ECC. Art Big Brother: monitoring creative processes (in connection with ArsVirDiCo project) and presentation of creative results as independent cultural events (exhibitions, concert tours, etc.). The Festival of the Culture of Peace and Non-violence was an intermedia cultural event, running parallel in ECC and IAoMC (International Association of Peace Messenger Cities) cities’ network. 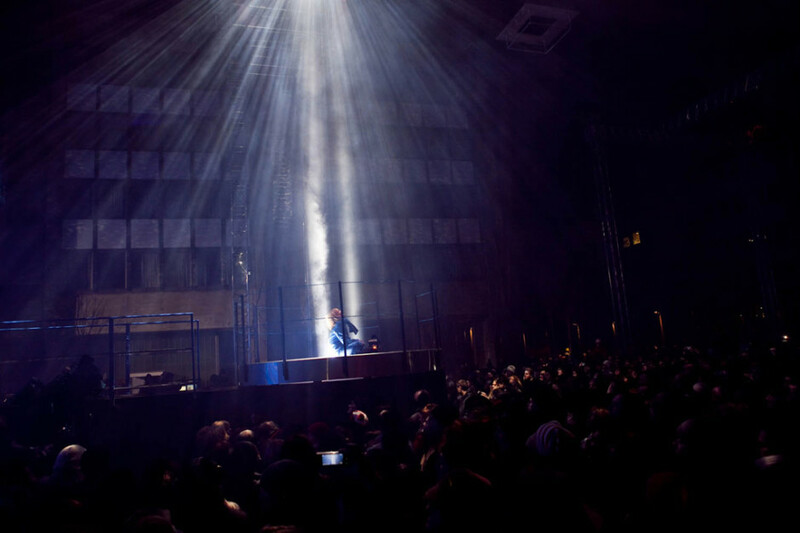 The event is based on an original idea by the multimedia artist TadejPogačar, his P.A.R.A.S.I.T.E. Museum of Art, and his partners. The project “The Mast of Europe” could be described as a travelling multidisciplinary promotional project. The project represented the connection between the two European Capitals of Culture in 2012 – the Slovene Maribor and the Portuguese Guimarães. A bus with artists travelled from Maribor to Guimarães, with another bus heading in the opposite direction, from Guimarães to Maribor. En route they stopped in different European cities, met local artists and exchanged knowledge, skills, experience, and working methods. The caravan carried along the Mast of Europe – a wooden trunk, a maypole that was raised and additionally decorated at each stop. The event was accompanied by an exhibition, performance, concert and video screening in hopes of making it more interesting and appealing to wider public. 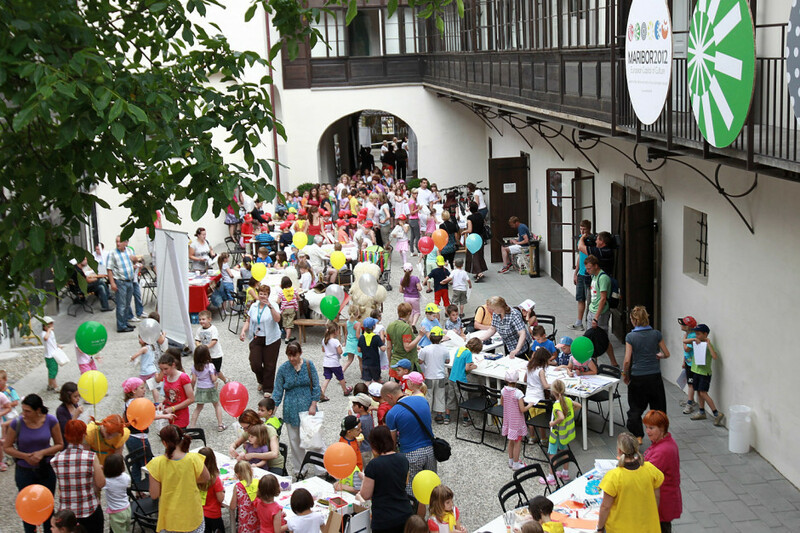 The project usedPippiLongstocking as a connecting symbol is was based on ongoing children and youth cultural activities in Maribor and partner cities. Based on their development until 2012, these activities are set to become organizationally integrated European events, featuring entertaining and educational programmes for children at various settings in Maribor, Velenje, partner cities and ECC cities. 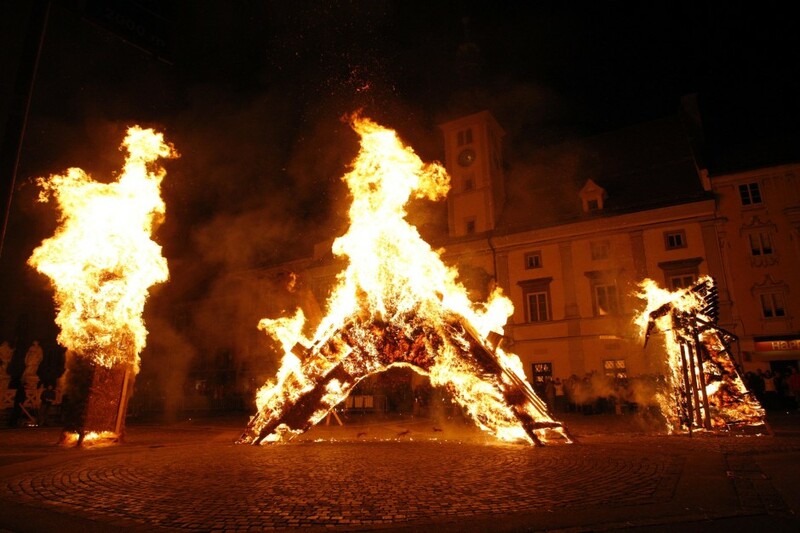 This tradition is maintained by the youngest Slovene professional theatre, the Anton Podbevšek Theatre from Novo mesto. In 2012,the theatre, in cooperation with SNG Maribor Drama theatre and other Slovene theatres, organized a series of performances by European avant-garde theatre groups, hosting the most notable European drama ensembles, and showcasing the best Slovene theatrical productions. At the equinox, a visual scenic installation intertwining different combinations of artistic expressions, such as movie, theatre, dance, music, intermedia creations of sound, and special effects will be performed on both banks and the surface of the Drava River. These 16 programmes or, more accurate, programme strands were designed on the basis of the candidacy and according to different procedures by creating drafts, applying external and internal connections, observing the need for integration and aspecific, theme-related approach, introducing additional dimensions, repositioning, structuring, positioning existing ideas into new frameworks, and of course by addressing all ideas and designs and modelling them into proper form.As a result, we createda generic enactment that embraced a certain amount of planned and, in some instances, already existing projects and programmes, which were upgraded, expanded, and given a European meaning once they became part of the European Capital of Culture. As referred to in the presentation of the programming process behind the 16 strands and the mode of selecting the final volume of strands fromthe basic application, only two thirds of the planned contents could be included in the envisaged financial framework, since two thirds of the total cost side available had already been spent. In the selection process, we mainly opted for projects with predetermined activity holders – the producers were thus known – while also having to provide conceptual clarity, at least with regard to the basic elements. We decided to leave the remaining third – 8 programmes and their related costs – open, so that the programmes could be developed through the process of the preparation for the European Capital of Culture 2012. The ECoC 2012 team was aware that we had not included everything and that certain fields were not covered or were at least insufficiently represented and would thus require upgrades. The special evaluation commission met again in November 2009 and took note of the progress of preparations for the Maribor 2012 project. Based on the presentation, the commission released the following findings referring to the programme concept: the commission stressed that Maribor is preparing a distinctly high number of projects and expressed concerns whether the city would be able to realise them. The commission wished that Maribor would prepare projects designed especially for the EcoC programme; in this sense, a more selective approach was expected from the city. The commission proposed a list of priorities be prepared, which would include 5 to 7 projects. It has also been advised that Maribor should hire external internationally recognised experts who would concentrate on developing projects with the participation of acclaimed international artists. Up until the end of 2008, no further work was done in the area of additional conceptualisation of the programme. There was no formulation of the planned 8 additional programme strands and no public discussions in cultural circles was held about how to deal with the contents that were not sufficiently represented in the proposed programmes – whether to expand the existing programmes or formulate new ones. The latter was probably not desired because of the commission´s unambiguous statement that the proposed number of programmes (16) had to be narrowed down anyway, thus the introduction of new programmes was up for debate, even though it could serve as further crystallisation of certain ideas. Nothing happened; until 2009 the Acting Secretariat met only a handful of times; the Municipality of Maribor communicated with the Ministry of Culture on the legal form of the organisation which would run the ECoC 2012 project, and on the selection of people in charge of it. At the end of 2009, preparations for the constituent instrument of the new public institute – called Maribor 2012 – European Capital of Culture – finally began. 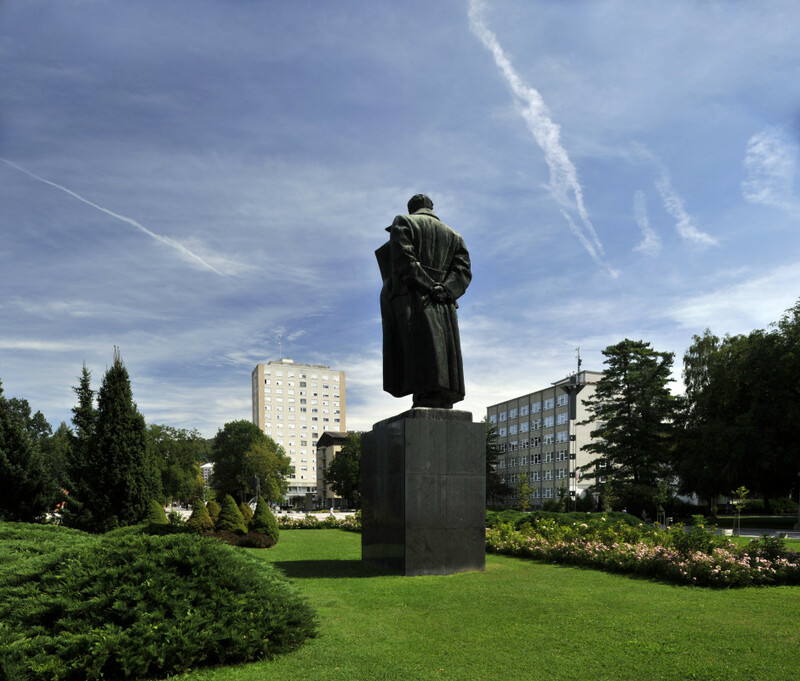 The constituent instrument was formed in cooperation between the Maribor Municipality and the Ministry of Culture, defining the municipality as the only founder, although different aspirations were present at first.